Definitely worth the wait. Dan K is back with another massively comprehensive guide to the unsung heroes of the film camera world. This time covering something that many have been waiting for. Lenses. This is a huge one, so get yourself a cup of something nice and enjoy. This continues my series of articles on lesser-known camera equipment that performs like the legends of the era. 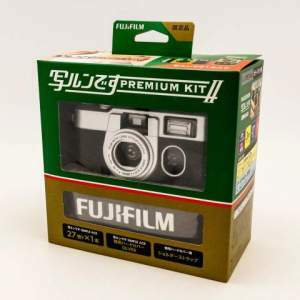 Following on from the previous related article on budget SLRs (http://www.japancamerahunter.com/2013/11/unsung-heroes-35mm-photography-part-slrs-dan-k/), we’ll be looking at full-frame manual focus SLR lenses that can be bought for a budget of roughly US$100. My philosophy is to pick a camera system based around the lenses that I plan to use, rather than choose a camera body and then go look for lenses that fit it. Sure, a great body makes for easy focusing and efficient shooting, but the lens is the soul of the photo. The optics determines how the image is rendered. Usually, a set of lenses will account for the majority of expenditure on a system, so it pays to make the right choice from the outset. This advice is doubly important for the photographer on a tight budget. Plan out your system acquisitions from the outset, insofar as the system should offer the lenses you need at prices you can afford, but don’t be afraid to take advantage of bargains you happen across. An alternate strategy is to pick a universal mount like M42, T-mount, Adaptall 2 or one of the system mounts that are easy to adapt onto other bodies, such as Minolta MC/MD mount. There are some potential disadvantages regarding aperture control, but on the whole it works well and is sensible if you own bodies of multiple systems and are working with a limited budget. When buying new gear, we are often told to avoid off-brand lenses and basic kit lenses because they don’t hold their value. The opposite holds true when money’s tight. We want lenses that are cheap and plentiful, with almost no rarity value. I’m not too worried about reliability either. Most manual lenses of this genre are simple and quite robust. There’s little to go wrong with a manual focus lens, other than obvious mould, element separation, cleaning marks, external physical damage, scratches, a sticky diaphragm, mechanical linkage, or a stuck focussing helicoids. It sounds a long list, but short compared to a stabilised autofocussing lens with electronic aperture control and nothing that is not readily apparent on physical inspection. 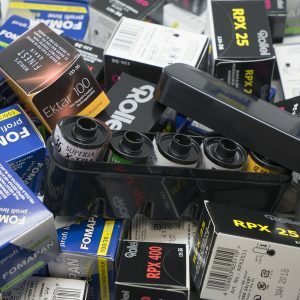 Indeed, you’d have to spend a lot of money to significantly upgrade from a lowly Minolta kit prime, simply because of the economies of scale in manufacturing by the million and their wide availability today. If you’re starting out I recommend you buy a prime lens with a focal length of approximately 50mm and master that focal length first. These lenses offer better sharpness, less aberration and better low light performance than wide or tele-focal lenses in the same price range. 50mm to 60mm focal length gives close to a 1:1 magnification on camera bodies of this era and price range. There is also something to be said for mastering the normal lens before learning to shoot lenses that make more of a statement with perspective. Next, look for a wide lens somewhere in the 28mm to 35mm range and a portrait lens in the 75mm-85mm range. Ultrawide SLR lenses tend to be expensive and/or optically compromised and super-telephoto lenses put too much distance between the photographer and subject and are expensive and/or slow, possessing a small maximum aperture. You’ll get more use out of a 35mm and a 75mm lens instead. You should pick focal lengths to achieve a certain kind of shot; you don’t need or want lenses covering every conceivable focal length between wide to tele. Distinct focal lengths are for determining perspective and to make a visual statement, not for saving the effort of moving a little closer or farther away to frame the subject; a mistake many zoom lens-packing novices make. Speaking of zoom lenses, I feel zooms are underrated. A single zoom lens can replace two or three prime lenses, for example a 35mm wide lens, a 50mm normal lens and a 70mm short telephoto for portraiture. This is an important consideration if you’re on a tight budget. A zoom also saves time swapping lenses and may be essential for framing fast-moving action from a fixed vantage point, e.g. sports photography. It’s more challenging to engineer a zoom lens than a typical prime lenses and some of the early attempts, such as the Nikon 43-86mm f/3.5 F, gave zoom lenses a bad name, being ridden with distortion, flare, ghosting and lacking in sharpness. Consequently, it has become pretty standard advice to steer clear of manual-focus zoom lenses and stick to primes. However, some of the better zooms are tack sharp, with minimal distortion and colour aberration and hold their own against comparable prime lenses in their price range. Fast zoom lenses (e.g. f/2.8) with a constant widest aperture across the entire focal range are better regarded, but it’s not a universal truth; some variable aperture lenses are great and some constant aperture lenses are not. In general, later models with computer-calculated optics and multi-coatings are likely to outperform earlier, simpler lenses. I have also found that lenses in the range of 80-200mm tend to be sharper and more consistent than ones in the 35-75mm range and that the greater the zoom range and the more extreme the lens is at the wide end, the worse the lens performed overall. Again, these are generalisations and it makes sense to research individual lenses. 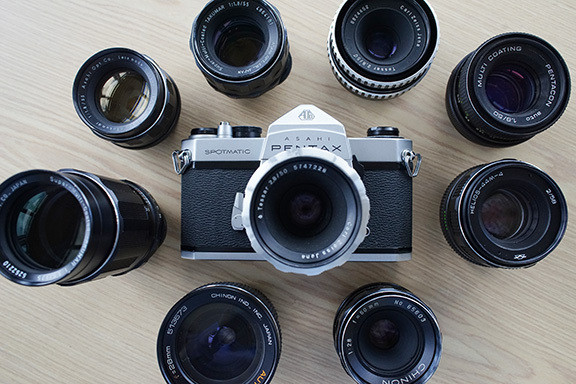 Don’t get too hung up on the maximum aperture specification. There’s not such a huge light capture difference between a 50mm f/1.2 and f/1.8 lens as to justify the price, nor does a 70-200mm f/2.8 deliver such narrow depth of field compared to an f/4 that it makes a far superior portrait lens. Other factors, such as the minimum close focus distance may be more relevant to the usefulness of a lens. There’s nothing worse than not being able to get a tight head and shoulders portrait with a long lens. Other factors like having a filter thread that maintains orientation at all focus positions, a short-throw vs long-throw focus, or even the direction the focus scale turns set lenses apart, but are more a matter of personal preference. I won’t cover every detail here, because my objective is to list as many lenses here that I own and enjoy as possible. The idea is for me to throw out ideas based on my subjective experience and for you to look for more detailed individual reviews before purchasing. Next, I’ll summarise the major lens systems and select some lenses that would suit the budget photographer. I can’t own every lens in the world, and opinions vary, so be sure to let us know in the comments whether you feel I have missed out a gem, or if you disagree with a lens’ inclusion. Minolta primarily targeted the mass market and their ‘professional’ gear never had the same cachet as Leica, Contax, Nikon or Canon. Partly for this reason, Minolta’s manual-focus SLR system is my top recommendation for the photographer on a tight budget. The first SLR system that I owned comprised a Minolta X-700 and a small handful of lenses. The only reason I switched was that I made the mistake of thinking it was too cheap to be any good and it took thousands of dollars of spending before I had assembled a high-end Nikon system that was significantly better in quality and utility. Now that I’ve learned that you can buy better gear, but you can’t buy a better eye, I wonder if it was money well spent. Whatever the answer, I still shoot my X-700 and X-500. I love the big finder and the quickness with which I can get the shot. 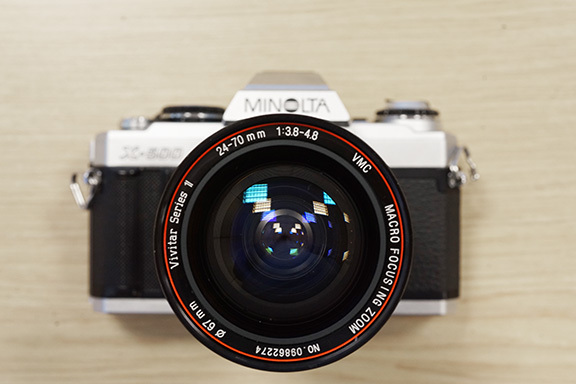 Before I get into individual lenses, here’s what you need to know about Minolta manual focus lens mount designations: It was originally called Minolta SR mount and sported auto aperture stop-down as the camera fires. “MC”-designated lenses add aperture-coupled metering for the SR-T, X-1, XE and later bodies. The next generation “MD” lenses added a tab to report the smallest aperture enabling shutter-priority mode in the XE-7 and Program mode in the X-700. Seeing as I use manual or aperture priority, I don’t much care whether my lens is MC or MD. The 50mm kit primes (1.4 and 1.7) are pretty good, especially stopped down at f/4, but still good enough at wide apertures… and they are dead cheap. As it happens, I currently only own two f/1.4 lenses, having given away an f/1.7 recently. In any case, all these lenses perform better than my MC Rokkor-X 1:1.2 f=58mm costing many times as much, but is soft and produces strange swirly bokeh. Minolta’s wide lenses cost a lot more than their normal primes, but then so do most wide SLR lenses. I originally bought the excellent but prices 28mm f/2, but a much more affordable option is the W.ROKKOR-SG 1:3.5 f=28mm, which is a bit more flare and distortion prone and necessitates stop-down metering through a small lever on the lens. I’d recommend the later MC version, rather than my SR version to avoid the need for step-down metering. As for long lenses, I chose zooms over primes, because Minolta’s primes are legendary. 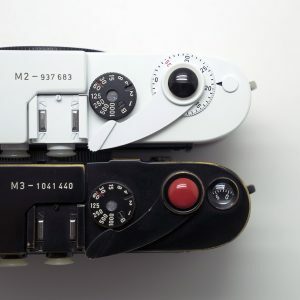 Back in the 1970s, Leitz’s lovely M-mount system was losing out to Japanese SLRs and they didn’t have the specific technology needed to make their own. So Leitz decided to see if they could find a Japanese manufacturer to partner with. 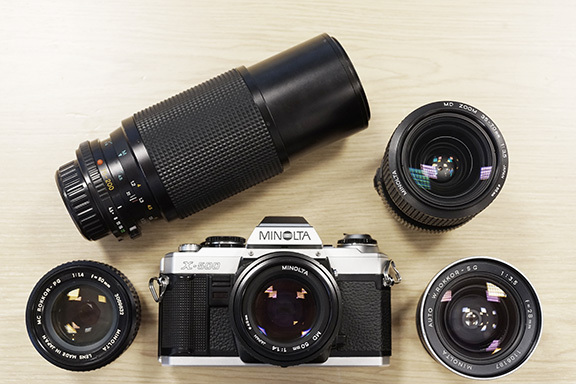 Their engineers were particularly impressed with Minolta’s lens performance and so, in the new tradition of “if you can’t beat them, re-badge them”, they started selling Minolta lenses and bodies as their own with minor modifications. Minolta continued making these lenses under their own brand. Some unverified accounts claim a high rejection rate of Minolta-made lenses and extensive modification, but the fact is, some of the Minolta-badged lens models really do perform to the level of the exalted Leica R system, and are comparable to even some of the better Leica R prime lenses. “Heresy!” cry the Leicaphiles, but professional testing I have heard about shows that they do. Regardless of snootiness, my casual testing confirms that they perform far better than they should for such a cheap lens. My first pick is the Minolta MD ZOOM 75-200mm 1:4.5. I marginally prefer it to the later, but optically simpler 70-210mm 1:4, a stellar lens in its own right that also became the Vario-Elmar-R 1:4/70-210mm. This focal range makes an excellent portrait lens and a minimum focus distance of 1.2m means you can shoot a close up portrait. Note that I wouldn’t recommend any manual focus long-telephoto for children playing, or for sports, as it is not as fast reacting as a modern autofocus lens. My second pick is the Minolta MD 35-70/3.5 Macro. I believe it was the non-macro version that was rebadged as the posh-sounding Leitz Vario-Elmar-R 1:3.5/35-70mm, but the macro version is at least as sharp and adds useful close focus and macro capabilities for about the same price. Close focus distance is 0.8m, but a further macro extension range allows 1:4 macro magnification. After a bit of comparison testing, I decided that I prefer it to the Minolta MD 28-70/3.5-4.5 which was also rebadged as the Leitz Vario-Elmar-R 1:3.5-4.5/28-70mm. I can live without the wider angle of view. The only bad news is that both my lenses have rotating front elements, which can be a pain when using graduated filters and polarisers. I don’t use grad filters for anything but landscape photos, so it’s not an issue for me. My personal favourite system is Nikon F/AI. If I chose to use just one system this would be it. I feel it has the best combination of selection, flexibility and quality. I advocate buying a great body and a couple of these cheap lenses, like a pancake and a tele and then take a step up in budget as you develop. Nikon’s manual focus lenses span a long production history and come at all price levels. Many of the pre-AI era lenses are a good balance of price and image quality and render beautifully. They will require conversion if you want to use them on later bodies and the conversion cost may push them beyond our notional $100 budget so if you plan to use camera bodies that take AI lenses, either buy AI/AI-S lenses or lenses that have already been converted. One example that I picked up for about $75 is the venerable NIKKOR QC Auto 1:2.8 f=135mm AI. It’s sharp, with NIC anti-reflective coating and still takes a beautiful picture. I’d like it to focus a little closer; the minimum distance is 1.5m. Nikon later made some cheaper lenses that are available for pocket change; these include compact prime lenses with smaller apertures. One such lens is the Nikkor 35mm 1:2.8 AI-S. It’s sharp with a pleasant character and minimal distortion. Any photographer with financial constraints should consider the Series E lenses. “E” stands for Economy. They were even stripped of the prestigious “Nikkor” designation and simply state “Nikon Lens”. The Series E lenses are generally of plastic external construction, with metal mount, mechanics and filter thread. The optics were supposedly simpler than Nikkors and built to a tighter budget, but the primes perform far better than I had expected and have a build quality better than many competitors’ lenses. The Series E lenses are all AI or AI-S mount and don’t have the metal fork required to meter with pre-AI bodies. My favourite is the Nikon Lens Series E 50mm 1:1.8 pancake lens. 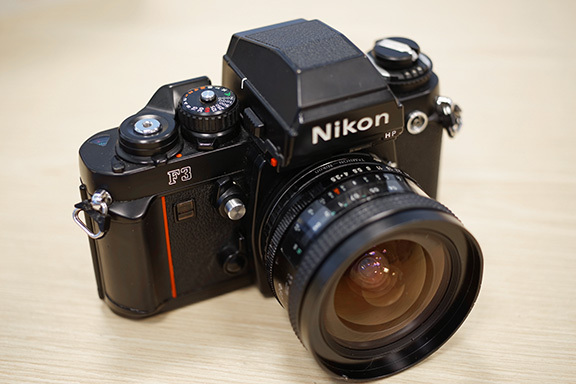 Intended as a cheap lens for the entry-level Nikon EM, it’s generally treated as a bit of a joke, but testing and experience shows it’s a killer lens. It’s dead sharp and almost distortion free, with just a little soft vignetting. This lens has a huge image circle; testing showed that it just about covers medium format Hasselblad X-Pan (65mmx24mm) panoramic. It even works better than a $3,000+ NOCT-NIKKOR 58mm 1:1.2 when adapted onto my Sony A7R, without noticeable ugly purple fringing. Another is the Nikon Series E 100mm 1:2.8, a lovely telephoto portrait lens that outperforms even the 135/2.8. It’s tack sharp, with good contrast and smooth bokeh. This lens focuses down to 1m. Nikon’s zooms are a mixed bunch. 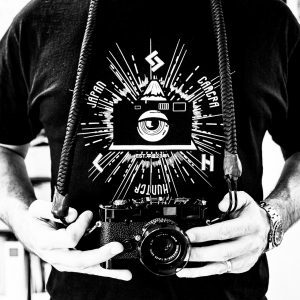 Some are as good as the best of the Minoltas and Leicas, but some one or two are even cringeworthy. I wouldn’t describe my Zoom-NIKKOR 35-70mm 1:3.5-4.8 as being especially sharp, or totally distortion free at the wide end, but overall it’s reasonably good and very light and compact. A useful close focus distance of 0.5m gives the possibility of tight portraits. There is a macro setting down to 0.35m. By comparison, my (then) professional-grade Zoom-Nikkor 35-70mm 1:3.5 AI is twice the size and weight, has twice the minimum focal distance and costs a lot more than twice the price. Compare their sizes in the photo above. The f/3.5-4.8 is the bottom centre-left and the f/3.5 is to its immediate right. It’s a matter of budget and priorities; I use the cheap lens more. If you get the choice, the earlier Zoom-NIKKOR 35-70mm 1:3.5-4.5 is about the same price as my 1:3.5-4.8 and a better lens. After my happy experiences with my Series E lenses, it didn’t surprise me to see that my latest purchase, a Nikon Lens Series E 70-210mm 1:4 turned out to be a lovely lens. It’s beautifully put together, without a hint of its “economy” label. Optically, it’s on a par with the Minolta MD ZOOM 75-200mm 1:4.5 and perhaps a little more vibrant. I think Nikon is a great choice at all budgets, from the entry level, through intermediate and up to premium price levels. Therefore I would recommend Nikon to low budget photographers with aspirations of progressively trading up later. Canon made manual-focus cameras and lenses in their FL mount system from 1964 to 1971 and was then replaced by the similar FD mount which added diaphragm control permitting shutter priority auto-exposure and program mode. FD mount remained in production till around 1987-1992 when it was itself replaced by the auto-focusing EF mount. There are some compatibility issues that you need to be aware of. FL and FD lenses employ the same breech-lock and shutter-linkage and consequently FD mount bodies can use FL lenses, albeit with stopped-down metering. I prefer the later bodies and seeing as FL lenses don’t seem to be much cheaper than FD lenses these days, I’ve chosen FD over FL. It’s no great limitation as Canon produced one of the most comprehensive systems of lenses, bodies and accessories, satisfying every need and budget. Note that FL and FD lenses aren’t adaptable onto modern EOS (EF-Mount) bodies, nor to my knowledge any other SLR mount. 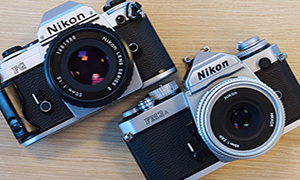 Partly for this reason, Canon FD lenses and bodies are generally cheaper than their Nikon equivalent and so are worthy of consideration for this article. This cheapness certainly doesn’t extend to their professional-grade “L” series lenses, which aren’t much cheaper than the modern EF mount equivalent and consequently, I’ve always balked at buying them. While I have found a few lenses that are both cheap and meet my image quality requirements I haven’t come across many and I would be grateful for your recommendations in the Comments section. The good news is sometimes the very cheapest lenses render more gracefully than more expensive versions of the same focal length. The Canon FD 50mm 1:1.8 is probably the most affordable of the bunch and often comes bundled for free with a body. I have both silver and black versions. Silver means that the lens has a silver breech lock ring. The black version is the later lens. They are slightly smaller, but roughly comparable to the likewise common Canon Lens FD 50mm 1:1.4 and its heftier, elder brother, the Canon Lens FD 50mm 1:1.4 S.S.C.. All four lenses are technically good and very similar in performance and look; they are sharp and contrasty without distortion and good colour rendition. The bokeh leaves me slightly queezy on fine grain film and digital, but is a lot less extreme than the more expensive FD 55mm 1:1.2 SSC (non-aspheric). If you like the FD bodies these kit 50mm primes are obvious choices. Finding cheap but high quality wides is always a challenge, and Canon Lens FD 28mm 1:2.8 was a very popular lens, being compact, sharp and well corrected for spherical aberration. There is only slight barrel distortion and some tolerable brightness drop off in the corners. I have recently been using a Canon Lens FD mm 135mm 1:3.5 S.C. as an alternate portrait lens to my Canon Lens FD 100mm 1:2.8 S.S.C., which at $130 falls a little beyond our arbitrary target budget. I love the hair-splittingly sharp 100mm and to be honest, I can’t reliably distinguish between photographs taken with the two lenses. The 100mm’s main advantage is its closer minimum focal distance of 1m vs 1.5m. To sum up, Canon’s manual focus SLR system is frankly not my favourite, despite my long and history of using their EOS system and my passion for collecting their rangefinders. However, most people don’t need much more than an AE-1 Program body, a kit 50mm lens and maybe one specialist lenses, in which case, they’d not regret the purchase. Legions of photography and journalism students cut their teeth on this combination. Konica AR lenses are highly underrated, but there aren’t many good Konica Autoreflex bodies. In addition, they have a short flange-focal distance, so they’re not so popular as it’s hard to adapt them onto other SLR lens mounts. Of course they work fine on a full-frame mirrorless camera, but if you can afford one of those, you can probably afford better than a Konica lens. Also note that Konica AR lenses won’t work on earlier Konica F bodies. I originally bought my HEXANON AR 40mm F1.8 to go with my TC-X camera body. The small pancake form-factor complements the small SLR body and, as I intended it to be my only lens, the 40mm focal length is a good compromise between a normal lens and a wide. It’s an endearingly soulful lens, which means it’s not terribly sharp wide open and has dark corners, but pleasant rendering. By somewhere between f/2.8 and f/4 the lens sharpens up considerably. I also hear the 50mm is a sharper lens all round. I added a HEXANON AR 28mm F3.5, which is fairly sharp for a 28mm SLR lens and without too much distortion. However the corners are pretty dark when shot wide open. I am told the late model is a relabelled Hexar; perhaps the first model is better. At the long end, I bought a UC ZOOM-HEXANON AR 80-200mm F4, which is a glorious tele zoom lens. I overpaid a little for mine, but they’re worth about $30-40 in prime condition on fleabay. The lens is sharp, contrasty and undistorted. The close focus distance is a very useful 0.7m. The downside is the front element rotates, like many zoom lenses of the era. Also, the lens has a bad reputation for flare, but I can’t seem to replicate it on my specimen. If you have the choice, go for the earlier f/3.5 model. 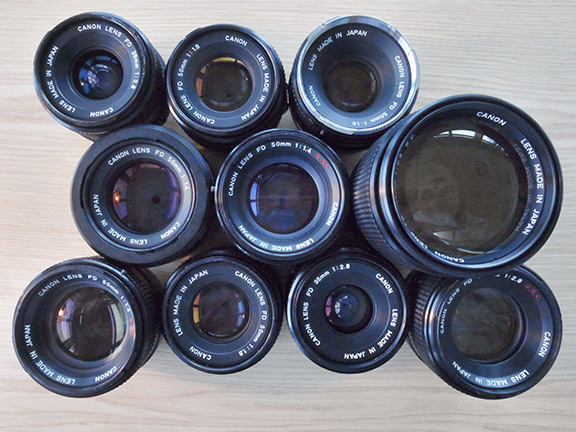 All these are Hexanon lenses. In later years, Konica made some budget lenses labelled Hexar AR. The Hexanon versions are better optically and mechanically and given that Hexanon lenses are so cheap, I saw no reason to look for Hexar lenses. If do come across one, I’d love to hear how it compares to the Hexanons. I confess to being a relative newcomer to Konicas and am still looking for lenses to round out the system. Among the Hexanons that I haven’t tried, the 21/4 supposedly beats my beloved NIKKOR 20/3.5 UD and the 35/2.8 and 35/2 are world-class. The 135/3.2 is another lens that I’m looking out for, being the best of the Konica portrait lenses. To sum up Konica lenses, I don’t think there’s a cheaper way to put together a good system of several good quality lenses, but for street photography I’d rather have one or two Series E lenses and a Nikon body than a bag full of Hexanons. I think Nikon has better SLR bodies, but I adore Leica R and Contax glass. These lenses are well built and the image quality is top-notch. I feel they offer good value for money in today’s market, but I wouldn’t call any of them ‘budget’ lenses and won’t be reviewing them in this article. 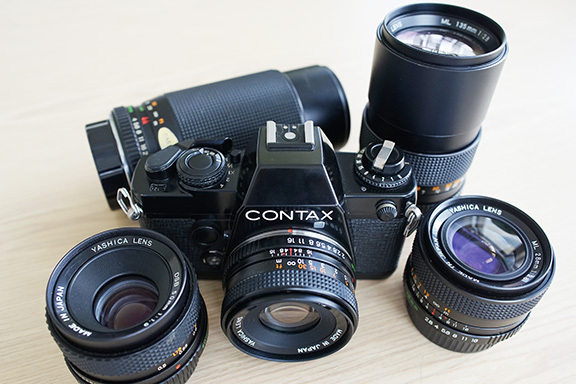 However, Contax SLRs were made under a joint venture between Zeiss and Kyocera and Kyocera also manufactured and sold bodies and lenses with the same mount under the Yashica brand and the standard is known as Contax/Yashica (C/Y). Yashica gear was pitched at a lower price point. Opinions on image quality vary. My personal opinion is that they range from the mediocre to the reasonably good. Yashica DSB 50mm 1:1.9. DSB stands for bargain basement. It has plastic construction, single coating and is a bit flare prone. It’s not as bad as on-line research would leave you to believe. It’s comparable in sharpness to my Contax Tessar 45mm 1:2.8 at f/2.8 and even wide open, but then the Contax pancake isn’t the best they made. Yashica ML 50mm 1:2. The ML lenses are generally metal construction, are multi-coated and fetch a little more. Like the DSB, this lens also has a six blade diaphragm and to be honest, I can’t tell the results apart from the DSB. Yashica ML 135mm 1:2.8. This lens has a deservedly good reputation, being sharp and flattering. It’s not quite a Contax Sonnar, but this would be the one I’d keep out of all those considered here. Minimum focal distance is 1.5m. I also have a Yashica ML ZOOM 80-200mm 1:4 and honestly, it’s no Vario Sonnar T*, but not so far behind some the other zoom lenses listed here. My early dissatisfaction with this lens is probably due to focus breathing, which is pretty bad on this lens; you’ll need to refocus when you change the focal length. Minimum focal distance is a distant 1.9m. To summarise, Contax are expensive. Be skeptical of Yashica lenses and do your research. Unless you already have a Contax body, I’d consider another mount until funds permit. Pentax’s bayonet mount is known as “Pentax K”, although that covers several generations of Pentax mount. We’ll be considering the three manual focus generations: K, M and A. The first two types, K and M, cannot have set their apertures automatically and are very competitively priced. The third generation of SMC PENTAX-A lenses are the last and best of the manual focus lenses and have a green A on the aperture scale to show that they can work in shutter priority mode. They are also more expensive, and I don’t need shutter priority, so I stuck to the earlier generations. Incidentally, “SMC” stands for Super Multi Coating which is used to reduce lens flare. SMC PENTAX 1:1.7 50mm. This is sharp with good contrast and colour rendition and gentle, unobtrusive bokeh. There is some vignetting wide open, but it is progressive and only serves to focus the viewer’s attention on the subject. Alternately, the smaller SMC PENTAX-M 1:2 50mm is a good pairing with the small Pentax SLR bodies and has the reputation of being even sharper than its Pentax-A successor. If you can stretch to $150, you can afford the excellent ASAHI OPT. CO. SMC PENTAX 1:1.4 50mm, but for a 50mm this is a surprisingly high price. It just goes to illustrate how expensive Pentax lenses can get if you are keen on the more sought-after lenses. For a while, the only wide that I owned was the SMC PENTAX-M 1:2.8 28mm; wide open, it’s moderately sharp in the centre with gloomy corners. Stopped down a stop or two and it’s extremely good, as you’d expect. I recently managed to pick up a SMC PENTAX-M 1:3.5 28mm for even less than the f/2.8 and many say that this lens is superior to the faster lens in terms of flare resistance, contrast, colour rendering, and corner sharpness. I haven’t really shot with it enough to know, but it seems to be at least as sharp as its sister. Back in the day, Pentax zooms were very desireable. The three I have are the SMC PENTAX Zoom 1:4 45-125mm, SMC PENTAX-M Zoom 1:4.5 80-200mm and SMC PENTAX-M Zoom 1:4 75-150mm. Minimum focal distances are 1.2m for the 75-150mm, 1.5m for the 45-125mm and 1.6m for the 80-200mm. All are sharp and contrasty even wide open, with low distortion or aberration. Optically, my preference is for the 75-150mm over the 80-200mm and it also complements the 50mm normal lens better than the 45-125mm. 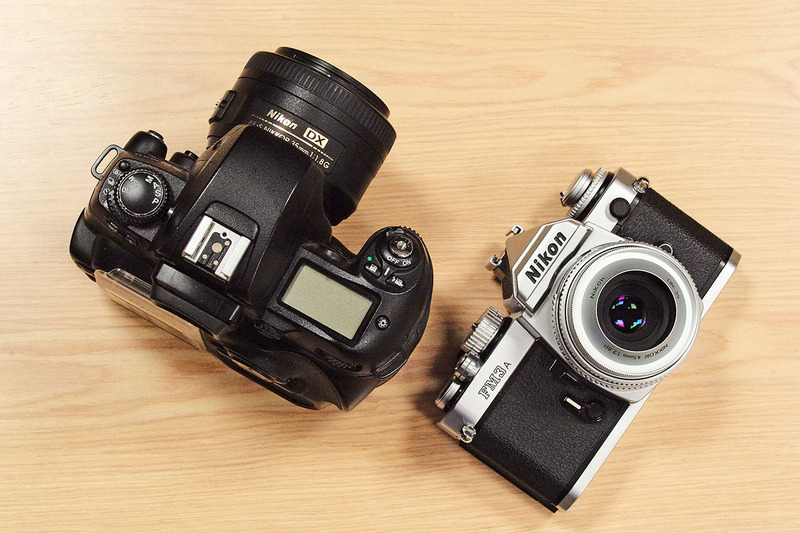 All in all, I consider the Minoltas a little better overall, both optically and in handling. Olympus also made fine lenses, if you find the Olympus OM bodies to your liking. These are slightly different, with a dial on the lens mount controlling shutter speed. I find this a bit fiddly, especially with the pancake lens, but some people prefer it this way. As always the kit primes are cheap and plentiful. 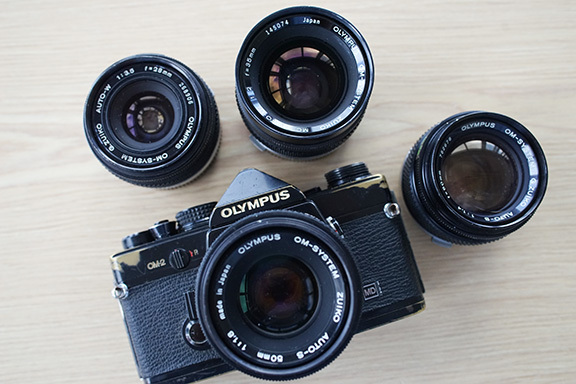 These kit primes are the Olympus OM Zuiko Auto-S 50mm 1.4 and 1.8. The smaller but slower 1.8 is all I need. I find the bokeh of the faster lens a bit “out of control” when shot wide open and close up, even more than a Zeiss Biotar. I have two 28mm lenses. 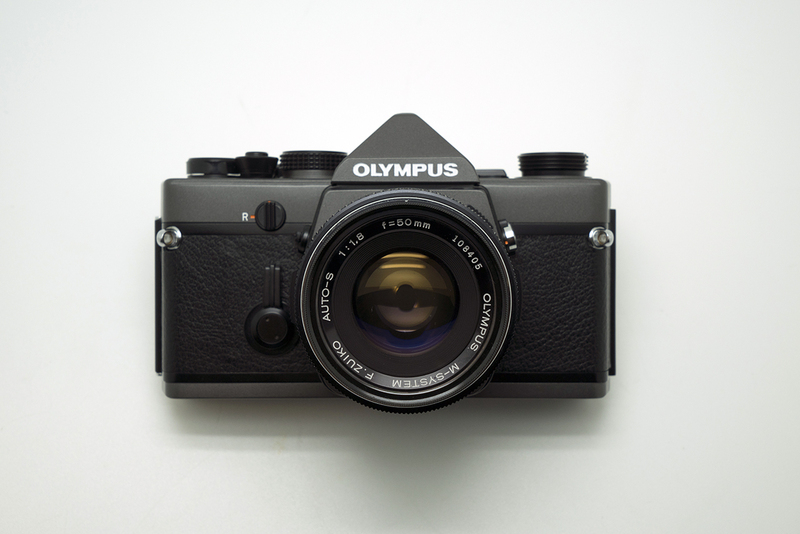 Of the two, I would not recommend the Olympus OM-SYSTEM ZUIKO 1:2 f=28mm. For a start, it breaks the budget at $380, but the main reason is it adds little over the Olympus OM-SYSTEM ZUIKO 1:3.5 f=28mm. Yes, the cheaper lens is more than a stop slower, but when shot wide open, the faster lens has some fairly serious vignette. Carl Zeiss Jena Tessar 2.8/50. I have both the silver and zebra versions. I prefer the zebra’s shorter 35cm minimum focal distance, stop down system and compactness, but can’t see any optical difference except the silver seems to have a little more vignette. Technically worse, it can aid composition. Conventional wisdom is to look instead for the multi-coated versions. Helios-44M-4 2/58. This is more or less a direct soviet copy of the Carl Zeiss Jena Biotar. Testing on a Sony A7R yielded very similar results. Both lenses are sharp even wide open, but consider this a special-effects lens. Sought for its characteristic optical vignetting supposedly gives swirly bokeh, which I have not seen. Instead, I see good centre sharpness, drifting away into peripheral softness and progressive darkening shot wide open, like an extreme version of the Elmar 50/3.5. Pentacon Auto 1.8/50 multi coating. Another Zeiss lens, but a more modern build. Sharp and contrasty. Pentax Super Takumar 1.8/55 and SMC. Both sharp and charming lenses, these offer 45cm close focusing and auto-manual iris control. The SMC version has a little more contrast and warmer colour, but not a big difference. Chinon 50mm f/2.8. I find this lens to be superb. It’s sharp as the devil, with great contrast and colour and buttery bokeh. If f/2.8 is enough for you, then this would be a killer choice. Pentax SMC Takumar 1:3.5/135. This is a compact telephoto lens that takes great portraits. Like the Chinon, it’s hard to fault. Minimum focal distance is 1.5m. Auto Chinon 28mm 2.8. I don’t have many wide lenses in M42. Although it was highly recommended by some of my experienced friends, I would describe it as streets behind the Minolta 28/2 in sharpness, contrast and corner illumination. However, distortion isn’t bad. 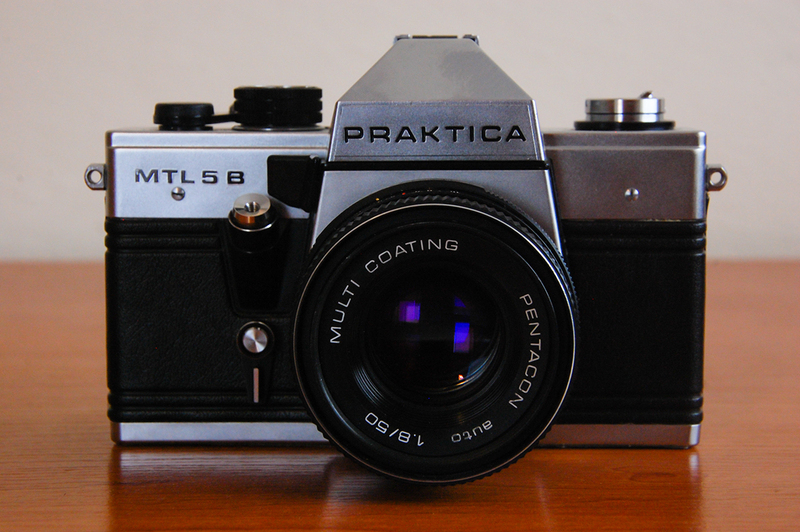 There are still a few lenses I’m looking for, including the Takumar 35/3.5 and maybe one of the Takumar 85mm lenses. Both would be excellent candidates for good, cheap lenses. The Tamron T-mount was another 42mm screw mount and is similar to M42, but alas, incompatible. I have a couple of these, but nothing impressive enough to include here. These lenses usually have a dial to open and close the aperture manually, an extra step that slows my shooting. Tamron SP 17mm 1:3.5. The only ultrawide lens included here, this lens has a pronounced, strangely non-linear distortion and a heavy progressive vignette, strongly reminiscent of the Russar+ that Lomography is currently touting for $650, but at a fraction of the price and in a far more adaptable T2 mount. While I would not use it for architectural images, it’s great if you want a characterful ultra-wide. It’s also above our budget at around $150, but it’s rare to find a full frame lens this wide at this price. Tamron SP 35-80 2.8-3.8 CF Macro. The kind of unassuming lens you might find neglected in a bargain bin, it’s the one of the very best manual focus zooms ever made by a generic lensmaker. Minimum focal distance is 1m, but between about 60mm to 80mm, it can focus as close as 0.27m. 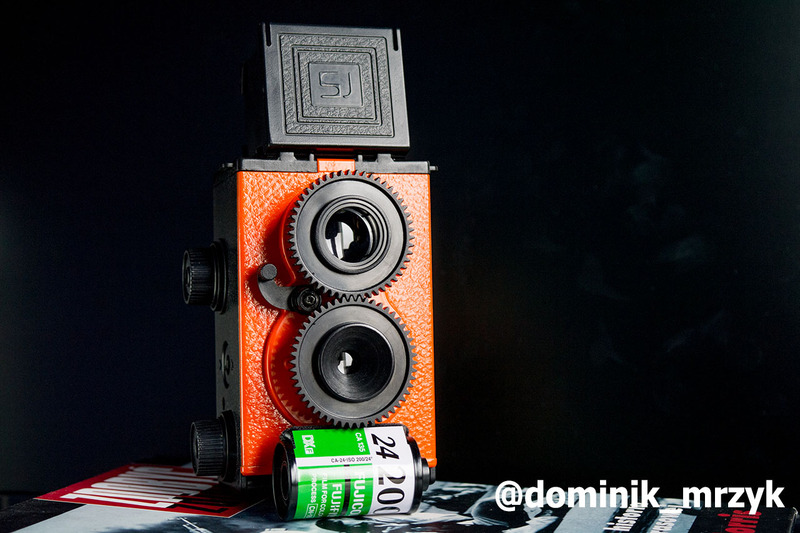 With good macro performance corner to corner, it focuses to 27cm from the film plane. Racked out at 80mm, it’s a beautiful portrait lens; at 35mm, there’s just a little barrell distortion. Fairly flare resistant. Performance is comparable to the Minolta and only just behind the best of the contemporaneous Nikkor zooms. T2 mount means it can be adapted onto most cameras. Vivitar are another third-party lens brand, but they took a different approach to Tamron, making their lenses in a variety of mounts: Pentax, Canon, Nikon, Minolta and Olympus, so you will probably find one in your mount of choice. In addition, Vivitar lenses were not made by Vivitar themselves, but manufacturing was subcontracted to one of 16 or more optical specialists, including Olympus, Cosina and Schneider Optik. If you’re interested, CameraQuest.com has a table that you can use to look up the maker from the serial number. Some of Vivitar’s lenses are of low quality, but Vivitar made introduced the Series 1 in the 1970s as their premium quality range. Their computer-designed optics were intended to compete with the best of camera manufacturers’ own lenses, which they often outperformed. At the same time they undercut both the top camera brands the other top third party manufacturers like Angineux. 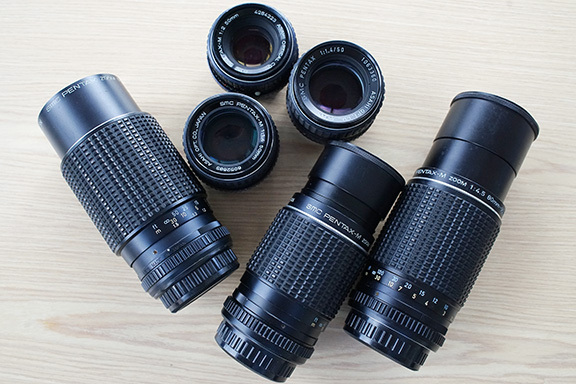 Probably the most famous of these lenses is the Vivitar Series 1 70-210mm 1:2.8-4.0 VMC MACRO FOCUSING ZOOM. Minimum focal distance is a very tight 0.8m at all focal lengths. Mine in MD mount and has a serial number starting “28”, indicating that it was made by Komine. My other favourite lens is the Vivitar Series 1 100-500mm 1:5.6-8.0 VMC MACRO FOCUSING ZOOM manufactured by Cosina. It’s surprisingly light for it’s size. At 100mm, it’s as big as a Pringle’s can; at 500mm, it’s almost twice as long. It’s more of a telescope than a portrait lens, with a minimum focal distance of 3m. It renders beautifully though. I also own a Vivitar Series 1 24-70mm 1:3.8-4.8 VMC MACRO FOCUSING ZOOM. It’s one of the very first manual focus SLR lenses that I ever bought and I used it together with a 50mm Minolta prime lens and it covered pretty much every need. Today, the Minolta 35-70 fills that role as the 24-70 isn’t quite up to the quality of the other two Vivitar lenses. Unfortunately not all Vivitar Series 1 lenses are gems. Vivitar later sold some pretty rubbish lenses under the Series 1 label. Avoid the later models and anything with a slow f/4.d-f/5.6 maximum aperture. 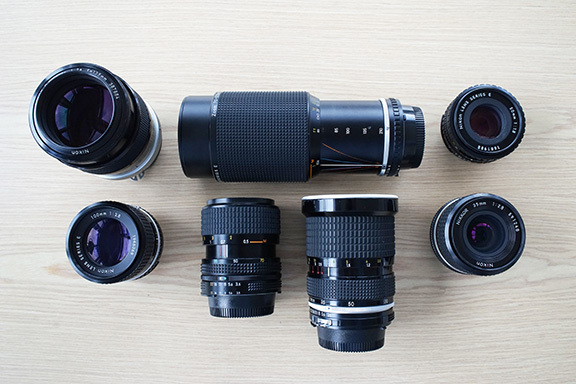 Spectacular lenses are within your grasp, even if you are on a tight budget. Choose your system wisely, bearing in mind whether you intend to transition to a new system later, or continue to grow organically from your initial purchase. Remember that my preferences for one system over another may not apply to lenses of a higher price range, except where I have intonated. If you have any questions, raise them below and we’ll all have a crack at answering them. Value estimates are based on a recent survey of Hong Kong camera stores for a lens in clean optical condition; but in ‘user’ cosmetic condition. Super Takumar 105mm 2.8 (~100)! Best Takumar ever, in my opinion. This, the Tomioka Macro Yashinon 60mm 2.8 (~$400) and the C/Y Zeiss Distagon T* 28mm 2.8 ($200-300, cheapest C/Y Zeiss prime as far as I know) are my most used legacy lenses on my GH3. Also, Olympus Pen-F lenses are solid performers and can often be had for around $100-$200. Thanks for your comment and recommendation! I can’t possibly cover all the lenses (nor do I know about them all), so I depend on commenters like you to add to the list. As for lenses costing significantly over $100, that’s probably something for the level above; people who can afford to spend more on their lenses and people who can fully appreciate the incremental improvement in image quality and lens speed. I started out with a bunch of cheap Takumars and Russians and then slowly worked my way up, but I’ve found that the 105mm is up there in quality with my more expensive lenses. BTW, better go for the Super Takumars, they are just as good as the SMCs, but sell for slightly less. And while I’m at it, another affordable wide-angle option for M42 is the Pentacon Auto 29mm F2.8 MC, you should be able to get it for way less than $50. As with the old Russian lenses, the optical quality can vary greatly between individual copies, but a good copy is decently sharp when stopped down to f5.6 and renders colors quite nicely. Dan (and Bellamy): Thanks for another good article on older kits that can still serve us well. I’ve got a Yashica FX-3 with three ML lenses in like new condition, the 50 f/2, 135 f/2.8 and the 24 f/2.8. Of the three, the 24 f.2.8 is the one I enjoy using most, though its a bit wider than I would normally shoot at the wide end. Sharp and lovely contrast, though you need to be careful as I find its prone to distorting in some cases (likely as much me not being used to shooting that wide). As Dan notes, the 135 is a very sweet lens. A beautiful portrait lens, particularly when used with wider apertures. The 50mm is OK, with my copy being a solid but not exceptional performer. I think the ML lenses are particularly good values if you can find a Yashica or Contax body in good condition. Floyd, it’s great to hear from an expert in Yashica lenses. I’ll look into the wide lenses. Dan, brilliant article and excellent insight. thanks for the work and the effort in presenting this. The article reminds me of my first exposure to decent glass. 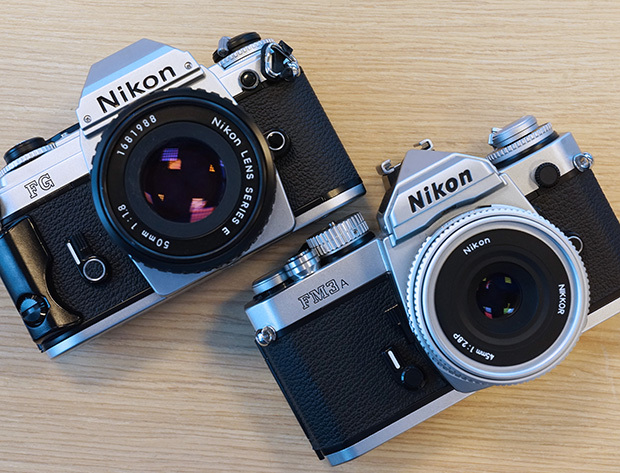 After getting my first SLR in 1980 ( Practica PLC3), I graduated to a well worn Nikon F with 50mm f2 standard lens. That lens is quite a performer, and I used nothing else for years, so I agree with your view about mastering that focal length. I added a Nikkormat FT2 body, and a later version of the 43-86 zoom ( with the lettering outside the filter thread). This is not to be confused with the earlier version you refer to in your article, and it became my default walk around lens. It’s pretty heavy, but it delivers consistently good results. Great round up Dan – informative as ever. I have a suggestion for a Canon FD lens – the FD 20mm 1:2.8. I picked mine up for less than $100 and have found it sharp and very well corrected – little in the way of distortion. Worth considering if you want something extra wide, maybe. Very informative, I would have probably not experienced as many systems if these series of articles was around before my G.A.S syndrome…but at least I know most of the systems mentioned in the article. Thanks again for another great resource! great article and continuation of this topic. I can only second Dan’s opinion on Minolta and their SLR system lineup. I’m a huge fan of the XD7/XD11/XDs bodies which have a more solid feel to them than the later X300/X500/X700 series and they basically offer the same features. My setup includes Minolta MD 28mm/f2, Minolta MD 50mm/f1.2, Minolta MC 58mm/f1.2 (for the signature rendering and bokeh) and a MD 85mm/f2.5 for portraits. It’s a very solid setup with the only downside of weight compared to something smaller and lighter such as a CLE with its smaller lenses. If I wanted to invest into (yet) another SLR system, I’d probably choose Olympus OM and Leica R.
Wow, great article. Thanks for taking the time to write this – I’m sure I’ll be referring back to it many times in the future. Fantastic article! It came at a great time since I just got a FE this week. Hopefully I can track down one of those 35mm f/2.8 lenses. $60 sounds like a steal. Good article. There’s certainly a lot of excellent bargains out there, if you know where to look. One thing you neglected to mention is that unlike some other lens and camera brands, Pentax K-mount lenses work perfectly with modern Pentax DSLRs; the Pentax “A” lenses even keep their auto aperture capability. One lens that has surprised me is the 28~50mm Pentax-M zoom. I picked one up in a pawn shop for $50, and it turned out to be surprisingly sharp. The “A” version of the 28mm f2.8 is actually an improved version, optically, over the older “M” lens. It’s my favorite lens, by far. The 100mm f2.8 is a beauty, as well. The older 35mm f2.0 “K” lens is not that good, the later (and much more compact) “M” version is much better. The 70~210 “A” is very sharp, I found one in a thrift shop for $69, mint. I’ll start with the C/Y system. I would say that not one of the Yashicas I’ve owned matches the rendition of the Zeiss lenses but they can be very acceptable. Besides the 80-200 zoom you mention the ML 28-85 is highly regarded and I particularly like the ML 35-105 which can give a bit of a 3d look. The ML 21mm f/3.5 is the best of the Yashica wides by a mile but normally a bit beyond the budget here, though mine was a very lucky buy and well below $100. 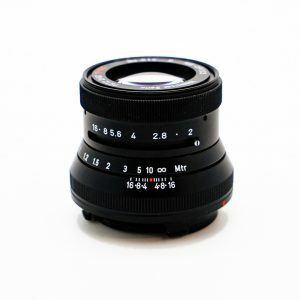 A number of the ML lenses were lightened and became came ‘compact’ version, denoted by a C on the name plate around the front element the 135c in particular is supposed to be better than the earlier version. Last tip on the C/Y range is that the Zeiss C/Y 135/2.8 Sonnar seems to be very unfashionable – on ebay the bottom price is now below the top prices for an East German 135/2.8. There are a couple of Stellar but affordable Tamrons worth a mention too. The SP 70-210mm f/3.5 is a one touch constant aperture zoom that goes toe to toe with any version of the Vivitar Series one and beats it. My personal favourite Tammy though is the 24-48 wide zoom. I’s never heard of it until I won mine as part of a bargain bundle on ebay, but it’s got lovely saturated colours and good sharpness – I won’t be parting with it easily. Copy variation is a big issue with the Sp 17mm you mentioned and, sadly, it’s not really up to use on high resolution sensors like the A7 series. The Canon FD range has to be the best value out there. The 50mm f/3.5 Macro is sharp lens which is stupidly cheap right now, as is the 50/1.4. I would avoid the earliest FD lenses as the coatings were improved and became more consistent, so make sure they are SSC or the later FDn lenses, without the silver ring are also noticeably lighter. Best lenses for me include the 28/2, 85/1.8 and the 135/2. Again there is an excellent 35-105, but it is big and bulky with a 72mm filter thread. I also think it’s worth looking at Sigma’s late manual focus wides. Cheap as chips and pretty good IMO. I have a Sigma 24mm f/2.8 Super-Wide II, 1/3 the price of the Yashica ML and from f/5.6-11 I’m happy to use it on my A7r. Also consider Tokina. The Yashica ML 28-85 is a re-badged Tokina AT-X 28-85 and the ML 35-105 and 80-200 are re-badged RMC Tokinas. Barry, thanks for your detailed reply and the benefit of your experience. I’ll look into your suggestions. One of the nicest lenses around currently is the Canon 40mm f2.8. It cost less new than many older pancake lenses sell for secondhand, is excellent quality with modern computer designed optics, and matches Canon’s lightweight EOS series film cameras perfectly. I picked up the lens and a mint EOS 3000 body for under £100. The combination fits in a coat pocket. If you get the chance to try one, the Rikenon 55mm 1.4 is probably my favorite M42 lens. I am glad the super multicoated 55mm f1.8 made the list. I wanne mary this lens. I’m Always dissapointed when forsed to use another lens due to focal length . I own 20 lenses where of 8 are on you’re list. You may want to make a small notation on the Minolta 50mm. 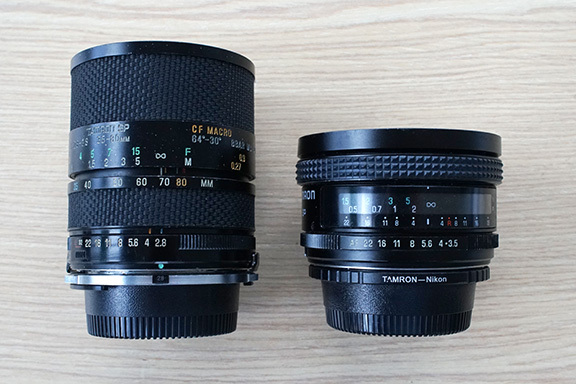 The MC and MD versions with the 55mm thread are identical optically, and far superior to the 49mm threaded versions (MD Rokkor X and plain MD). Personally I find my 55mm threaded MD Rokkor 50/1.4 to beat out most other “faster” 50’s in sharpness, and quite a bit so than two 1.7’s I had. The Pentacon 50mm 1.8 has a pleasing eye quality and I’m a fan too, superb value. Pancolar is sharper and sample variation of Pentacon versions vary a bit. Pentacon is not Zeiss related though, that particular lens evolved from the Meyer Oreston of which the optical design never changed, 6 elements in 4 groups. Thanks for the great reviews, have been experimenting myself for a while now with my canon 5d mkii & I would like to add that the Yashica ML range of primes are largley sublime. My 24mm i above fab, the 28mm also a dream and I have 2 50mm a f1.4 & f2, they wow me every time I use them. Love them for video work, but frequently impressed with there performance compared to my modern L series autofocus zoom. I recently bopught a Sony a3000 camera, just to resurrect the old MF SLR lenss that I’ve had in storage since switching to digital in 2007. I have a range of Canon FD and Konica AR lenses (and a Russian Jupiter 8 rangefinder lens) and I have been having a blast getting back to basics. When I first started with film it was with a Canon QL17 rangefinder and I stuck with that until it was stolen. It was then natural to stay with Canon when I switched to using an SLR system. I then found a Konica Auto S2 rangefinder camera in a junk store and was amazed by the lens. That led me to explore the old Konica AR SLR system and I was equally impressed. The first Konica lens that I used was the Hexanon 50mm f1.7 that came with my first camera. It is incredibly sharp and I would encourage you to try it if you ever find a good deal. It is certainly better wide open than the 40mm f1.8, but I usualy keep my 40mm lens on the camera because it is so compact. 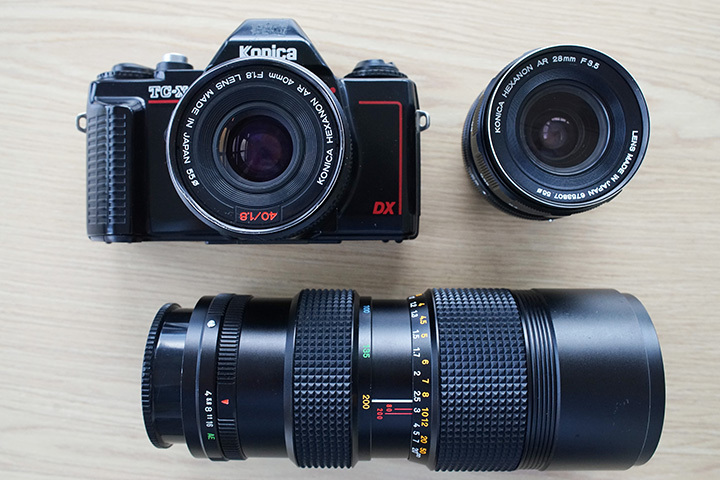 The other Konica AR lenses that I regularly use are the Hexanon 28mm f3.5 and the Hexnon 135mm f3.5. I also have the Konica 2x teleconverter but don’t often have the need to use it. Another new favorite is a Tokina RMC 35-105mm zoom (Konica AR mount) that I picked up for $16 at a Value Village store. Its very sharp for an old zoom. The main performance difference that I see between my Canon lenses and my Konica lenses is with chromatic aberration (CA). My Canon lenses are somewhat prone to CA in bright conditions while my Konica lenses seem almost immune to CA. This is probably something to do with matching of the optics to the sensor but its nice not to have to worry about it with the Konica lenses. The reason Dan’s Zoom-NIKKOR 35-70mm 1:3.5-4.8 is a disappointment is that it is not a Nikkor. It wasn’t even made by Nikon. It is a Cosina-made lens that was bundled with the Cosina-made “Nikon” FE10 and FM10 cameras. Like the cameras, these lenses were cheap and shoddily made. There was a superficial resemblance to the genuine article, the Zoom-NIKKOR 35-70mm f/3.3-4.5 which was made by Nikon and is quite a sharp performer. Look at the difference in the apertures and choose the right lens. You won’t be disappointed with the genuine Nikkor, the Cosina lens is junk. I totally agree with Dan’s recommendation of the Series E lenses, all of which are AIS. If buying the 50mm f/1.8 Series E, avoid the early version with the black plastic finish and basic anti-reflection coating. Instead go for the later Series E with the chrome knurled ring around the barrel. It is optically identical to the 50mm f/1.8 AIS Nikkor and has multi-coating. It is one of the sharpest lenses ever made. In Series E zooms, the 70-210mm f/4 is a fine performer, as is the 36-72mm f/3.5, but the real gem is the 75-150mm f/3.5 which is a near-perfect portrait lens. It is plenty sharp with lovely soft background bokeh. It suffers from zoom creep but this can be alleviated with an elastic wrist band around the lens barrel. Optically, it is an exceptional performer. Pro shooters loved it (and the 100mm f/2.8 also recommended by Dan) and pleaded with Nikon for a more roubustly made Nikkor with the same optics. It never came. Many of the team who developed the Series E lenses for Nikon later moved to Tokina. I think that accounts, at least in part, for the optical excellence of the Tokina range during the 1980s and 1990s. Fabulous article, just enough info on so many lenses☺ I do feel a few of the Jupiter lenses should have been here, but perhaps like many of us the author has had poor experiences with bad copies of the lens series. IMO, the Jupiter lenses trump the Chinon and Helios and Pentacon mentioned and the Jupiter 8 is the best in camera fx lenses I own. I have an extremely rare Nikon mount, like new, Carl Zeiss 100-500mm Jena zoom lens with case. All inquiries welcome and photos are available. It is a unique push pull lens. Made in Japan with a Nikon fitted factory mount. The lens is a manual focus F5-32. could it possibly be that there is a typo with the Chinon lens? 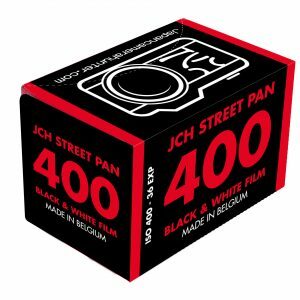 I do not find anything about a Chinon 50mm 2.8, only 1.7 and 1.9 for M42…. I was thinking the same like Johannes… Haven’t read anything about it anywhere else. In fact, I started an ebay research and am still following it for month now, worldwide, without having any hit. If it was a typo, I wonder if he got the focal length or aperture wrong – could be the 50mm f/1.9, 50mm f/1.7, 35mm f/2.8 or even the 28mm f/2.8. Hoya made m42 mount and Olympus om mount lenses, they made, both primes and zooms, I`ve collected a few different ones now and not had a bad one yet, they seem relatively unknown, but, ive read some good reports from other users as well. I`ve mainly gone for Olympus om fit and m42 as the lenses are relatively plentiful, and easily adapted for use, on canon eos digital cameras too. Ive a growing collection of lenses in Olympus om and m42 mount, but, mainly use them on canon eos digital, using an adaptor, although I do own a spotmatic and a praktica mt3 a canon eos 100 elan and an eos 300v, although the film cameras are barely used in all honesty. some of those cameras I bought because they where bundled with a lens on ebay, and worked out cheaper than the lens alone, so that’s something for people to watch out for, a good example is the eos 100 elan, which came bundled with a mint ef 28-80mm f/3.5-5.6 usm lens, I like this lens so much I now, have a spare ;-) the rear element is dust sealed at the back and its a decent walk about lens even on 1.6 crop digital, and is much better built than the standard 18-55mm non is zoom lens, I paid about 34 quid odd for the camera and lens, which as I say turned out to be mint but was a bit of a gamble in all fairness. I acquired a carl zeiss jena tessar in a similar way for about 14 quid the later black 50mm f/2.8, which I managed to strip down, clean and repair after finding a guide online, it came bundled with the practika mt3. The pentax spotmatic mk1 is absolutely mint it looks brand new, but when I got it the mirror was sticking up, that was an easy fix, following an online guide too, I cant remember what I paid for it but it was in the region of 24 pound odd, I got it mainly to have a mess with my m42 lenses on a decent camera of the period and to my mind its a bit of a classic camera too. I should add but forgot that the ef 28-80mm f/3.5-5.6 usm is the mark 1 version, which was the kit lens included with the eos 100 elan, when new, after doing some research I realised I could look for an elan to get the lens cheaper, than the lens alone. The build quality is much higher than later 28-80mm lenses and has a distance scale as well as rear dust sealing. I always enjoy the good reads in this blog; but this author just lost me in the Olympus OM part of this article when he claims : “I would not recommend the Olympus OM-SYSTEM ZUIKO 1:2 f=28mm (…) it adds little over the Olympus OM-SYSTEM ZUIKO 1:3.5 f=28mm (…) when shot wide open, the faster lens has some fairly serious vignette”. First of all, the Zuiko 28/f2 is one of the best 28mm lenses around, just ask around any serious photography forum. While it does suffer from vignetting wide open, it is nothing so “serious” as the author claims. I own one and have done very careful tests with it; it is just a magnificent lens… Secondly, the 28/f3.5 is really not considered a good lens, and is really far from being as good as the 28/f2. Any serious OM user could confirm that information. Thank you for you comment. The reviews are subjective to the authors. Whilst I understand your displeasure with Dan K’s review of the OM system, but I hardly think that merits discounting all of the other reviews on this site, by various authors (including myself). Perhaps you could instead add you opinion and share it with us about these lenses. Voigtlander Bessa-T with Jupiter 50mm and closing/Voigtlander 21mm f/4, the poor mans leica, go for the R not the T because the T has a rangefinder but no viewfinder, the lenses are well regarded and the 21mm is one of the best I own. Nikon, I own lots of Nikon gear but the f2 is available for around £100 and must be one of the best film cameras ever, the D range of lenses are good and work on most Nikon bodies, digital or film, the 20mm f/2.8, 24-85mm f/2.8-4 and the 70-200mm f/2.8 are all superb and getting cheap due to age. But for real value the 35mm f/2 either AiS or D is one of the sharpest lenses of all time, the 50mm f/1.8 AiS is superb, and any version of the 55/60mm macro all three are stunning. Olympus, I love the OM cameras and they are getting cheap, except the OM3 which seems to be holding its price, the 28mm f/2.8, 35mm f/2 (a bit expensive) the 50mm f/1.8 and the 135mm f/3.5 are all really good. The 135mm was always a cheap lens, even new and is good value for money. If you are feeling rich the 15mm fisheye, 85mm f/2and 180mm f/2.8 are all lenses that I sold to buy my first digital Nikon and that I miss a lot. Tamron, lots of variation but the adaptall 2 SP lenses are excellent, the 24-48mm is one of the best short zooms, the 300mm f/5.6 is amazing, the 90mm macro is superb, especially with the matched multiplier, the 500mm catadioptric blows the Nikkor version away and is much smaller and the 17mm f/3.5 is excellent, yes it looks a bit unshared on full frame digital but it is very wide and so is cramming a lot of information into the frame, no super wide looks good at pixel level. Have a look at adaptall-2.com for a full list. Excellent article, thankyou. I’ve got two M Pentax lenses, f2 50mm from my old ME Super and a 35mm f2.8 bought for £30 of ebay, for use on my EOS-M and NEX-6. Neither lens is considered particularly desirable, but I love them. I intended to use them primarily for filming, however I now rarely take either cameras modern kit lens out with me for stills either, I’d rather have the old Pentax bullet proof build quality, and a aperture ring to fiddle with. I also think they are brighter and react better to daylight than standard kit lenses. They’re not all classics, I tried a 28mm Pentax as well, but found the bokeh a bit angry and barrel distortion too pronounced. But there’s so many good lenses out there for minimal outlay.